What is the SafeSeas Network? SAFE SEAS is a network of academic institutions that studies maritime security governance and efforts to support it through capacity building. The goal is to provide evidence to improve current processes and to identify and share best and promising practices. The current re-evaluation of the maritime as a space of insecurity and economic opportunity has led to a growing awareness for the weak capacities of the majority of coastal states. Protecting territorial waters and Exclusive Economic Zones, preventing maritime crimes, such as piracy and illegal fishing, and ensuring the sustainable exploitation of maritime resources requires significant law enforcement capacities, information sharing tools and working maritime governance structures. These are the processes that SAFE SEAS supports. Various capacity building projects have been launched to offer assistance to countries. In particular, the Western Indian Ocean region has become an experimental space in which new forms of assistance are tested. The majority of these project was initially a response to piracy off the coast of Somalia from 2008. With the decline of piracy incidents since 2012, the efforts were broadened to focus on maritime insecurities and law enforcement at sea more generally. From 2016 to 2018 SAFESEAS has studied these capacity building projects in order to compile a Best Practice Toolkit. SAFE SEAS studied lessons from maritime security capacity building in the Western Indian Ocean. The focus was in particular on the ongoing efforts to restructure the maritime security sector in Djibouti, Kenya, Seychelles, and Somalia, but also studies on Israel, Pakistan and South Africa were carried out. 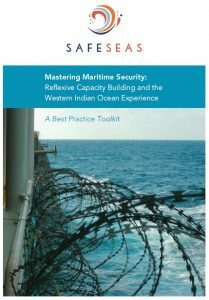 Drawing on this evidence and on interviews with capacity building providing organizations, as well as the receivers, SafeSeas developed guidelines and best practices for maritime security governance and the coordination, programming, and implementation of maritime security capacity building. Visit the news and results sections for the intitial outcomes. Since 2018 the SafeSeas network is developing an evidence base on transnational organised crime at sea. SAFE SEAS current research project TOCAS is funded by the Economic and Social Research Council of the UK as part of the Partnership for Conflict, Crime and Security Research (PaCCS). From 2016 to 2018 SafeSeas received financial support from the British Academy Sustainable Development Programme [GF16007] which is part of the UK’s Global Challenges Research Fund initiative to strengthen development through research. It has also received financial support by Cardiff University, University of Copenhagen, University of Bristol, University of Seychelles, and the Security Institute for Governance and Leadership in Africa of the University of Stellenbosch.